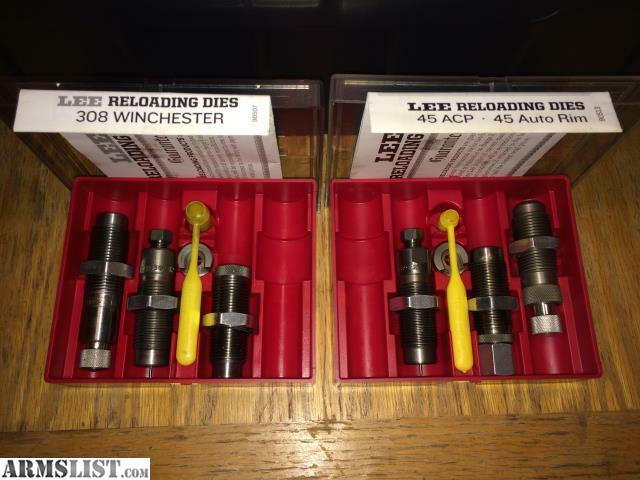 For sale is two reloading carbide die sets. They are both the 3 piece sets and are both complete with the hard case, the three die bodies with locking nuts, shell holder, main corresponding CC yellow powder scoop and paperwork (paperwork has all ammo measurements for case lengths and widths as well as a few different load recipes). Both sets are used but used very minimally and in excellent condition. I loaded exactly 500 rounds on the 45 ACP die set and roughly 425 rounds on the 308 Win die set.